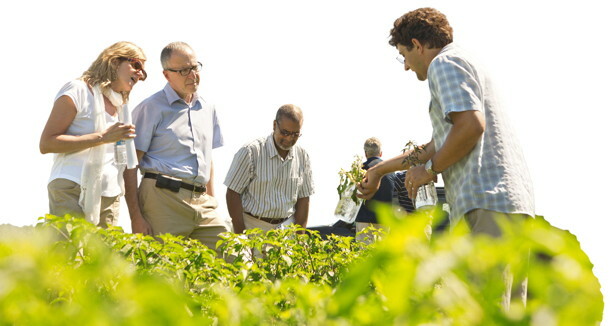 Mazourek shows a Phytophthora resistance trial with bell peppers to President David Skorton, his wife, professor Robin Davisson, and Cornell deputy spokesperson Simeon Moss '73 at the East Ithaca Research Farm. When Michael Mazourek, Ph.D. '08, was a child, he dreamed of becoming a farmer, a chef or an engineer. Little did he know he'd get a taste of all three professions at Cornell. As the Calvin Noyes Keeney Assistant Professor of Plant Breeding, Mazourek spends some days planting crops for trials at the Cornell University Agricultural Experiment Station's research farms, others collaborating with chef Dan Barber on unusual breeds like the honeynut squash, and still others designing organic varieties to benefit New York state growers. It was this work that earned Mazourek recognition by the Organic Seed Alliance (OSA) earlier this year as it marked the 150th anniversary of the land-grant university system with a series of profiles on young organic breeders, including Mazourek. 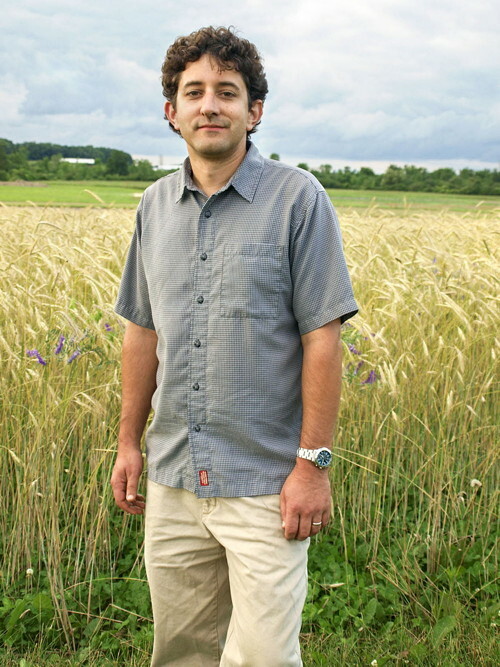 A native of Newfield, N.Y., Mazourek was inspired to better connect farmers with research when he came to Cornell as an assistant professor in 2009. "There were all of these cultivars developed at Cornell that had solutions to problems I had in my home garden for decades," he said. "I grew up one town over so I couldn't imagine why I had suffered for so long with powdery mildew when these folks had the cure." Under his graduate adviser, Molly Jahn, Ph.D. '88, Mazourek worked on biochemical genetics of peppers, and quickly developed expertise in vegetable improvement and getting new products out to the local region. "Professor Jahn was committed to bringing the products of her research to anyone who could benefit," Mazourek said. "I had a revelation about the importance of this work; I felt I had been training for it all my life." This spark eventually led Mazourek to get involved with OSA through the Northern Organic Vegetable Improvement Collaborative, a collaboration among researchers from four universities, OSA and the U.S. Department of Agriculture (USDA) that brings scientists together with organic farmers. "Here in New York, there's no 'big organic' like in California so it's all the more important to get farmers involved in breeding," he said. "My goal is to connect people with seeds that will work for them. 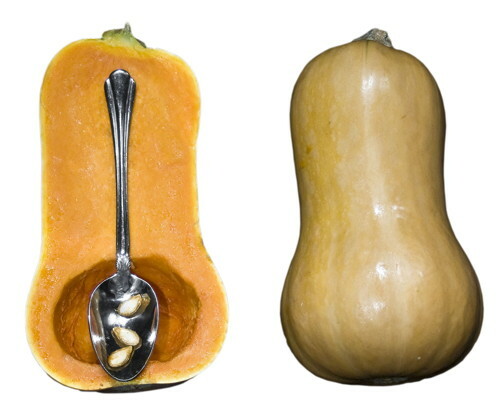 In central New York, that means things like broccoli that doesn't bolt, peppers that resist Phytophthora and butternut squash you can store in the winter." While funds for agricultural research are increasingly scarce, Mazourek has been able to access grant opportunities through the USDA and its Organic Agriculture Research and Extension Initiative to help public plant cultivar developers meet these and other grower needs. With the funds, Mazourek deploys historic knowledge and new tools. Some projects – like helping the town of Irondequoit, N.Y., rediscover a melon breed lost to disease – involve combing through the dusty files of his predecessors. Others demand high-tech approaches like DNA sequencing and barcode readers in the field. Regardless of approach, he sees this work as important not only for farmers but for the region as a whole. "Sustainable and organic systems contribute to the economy and well-being of our state and region. By definition [local food] has to be produced in our communities, and production in our communities means profits tend to stay in our communities and jobs grow locally," Mazourek said. "It's one aspect of our economy that cannot be outsourced." Kate Frazer is the agricultural stations communications officer for the College of Agriculture and Life Sciences.